Our journey involves a grandfather, his son and his grandson. From an idea of Al Fischer, author, teacher and publisher, for a different type of board game that would reward players for their experience in life. His son, Bruce Fischer, also an author, publisher and musician, created the line of Experience Games and made them available to the marketplace. Al’s grandson and Bruce’s nephew, James Alfred Thomas, a weather forecaster and world traveler (aka Mr Worldwide), assisted with the game questions and beta-testing. Together they bring the family legacy to life! The game creator, Bruce Robert Fischer is dedicating the Experience Games to helping people to remember and share their life experiences. A portion of profits will be donated to the Banner Alzheimer’s Foundation which supports the mission of the Banner Alzheimer’s Institute. 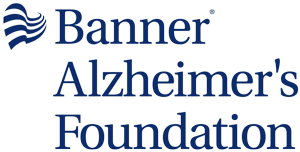 The Banner Alzheimer’s Institute strives to end Alzheimer’s disease without losing another generation and provide a new standard of care for people with Alzheimer’s and their families. So how does playing board games tie in? Preventing the loss of neurons, which can be made and strengthened by stimulating the brain with mental activities, can help prevent the causes of cognitive diseases like Alzheimer’s disease and dementia.